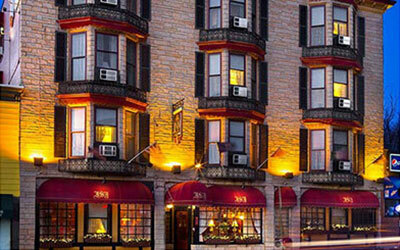 Portland Maine Hotels - Inn at St. John - One of the Best Inns in-town! 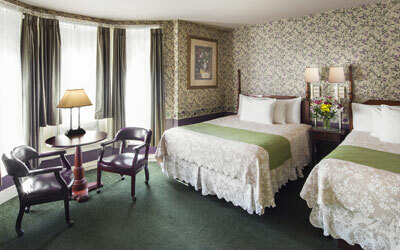 One of the best in-town Portland, Maine Hotels. 939 Congress Street. Portland, Maine. Built in 1897, the Inn At St. John is one of the best Inns & Portland Maine hotels and is the city’s oldest continuously operated hotel. As a historic Victorian-era building, we offer an array of room styles, all of which are individually appointed and competitively priced. Whether you are searching for romantic luxury accommodation for a weekend getaway, a dog-friendly hotel room to accommodate the whole family, or even an economically priced room for an extended visit, the Inn At St. John is exactly what you are looking for. We are one of the few independently owned and operated hotels in the Portland area. As a result, you will find a complete dedication by our staff to ensure your stay is 100% satisfactory. 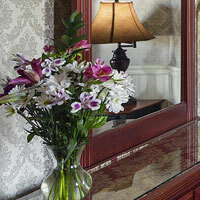 A great deal of thought goes into every detail of the Inn from the decor to the complimentary breakfast. We think this approach sets us apart from our competitors and are confident you will agree. Conveniently situated in the west end of downtown Portland, the Inn at St. John is easily accessible to everything Portland has to offer. 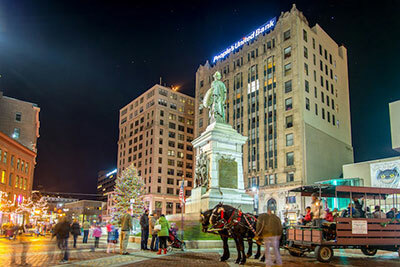 Don’t forget the numerous restaurants, shops, independent art galleries and nightclubs, all within a twenty-five-minute walk from the Inn’s front door. See our Attractions tab for distances from the Inn to popular area destinations. 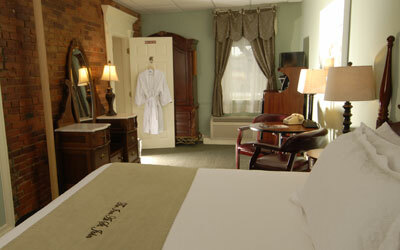 Treat yourself to the comfort and ambiance of luxury accommodation at The Inn At St. John. We have three rooms in this category, all of which offer a king or queen sized bed, jetted bathtub, flat panel television, exposed brick, and luxurious bath robes for your comfort. All of our Traditional Rooms offer period wallpaper and Victorian styled furniture, sure to guarantee a pleasant and relaxing stay. All of our rooms in this category are unique in there own way and have a private in-room bath, sumptuous bedding for your comfort and are tastefully appointed. Cozy European style rooms with across the hall baths either shared or private, featuring the same character and charm of our hotel yet bring a deep discount for our budget conscious guests. 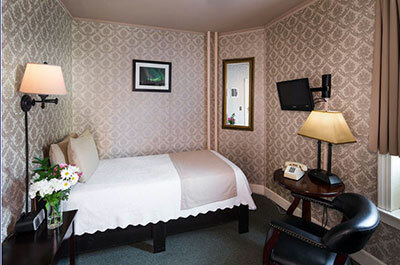 All of our Value rooms require at least one flight of stairs, no lobby rooms are available. 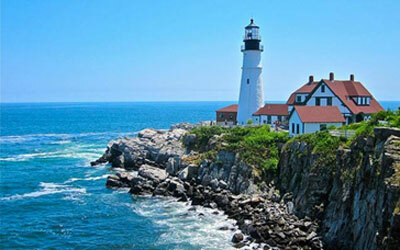 Stay a few extra days and DISCOVER Portland, Maine. One of the Best Portland, Maine Hotels! Copyright © 2007-2018 – The Inn at St. John – SEO & Website Design by Spiderchoice Inc.